“Contributing for a social cause is one the most gratifying experience one ever has.” However, one is always in a dilemma of how to and whom to contribute; whether the resources will be utilized diligently or not. At SAA, we therefore insist our donor friends to visit and learn about our centre first and we also welcome their suggestions. SAA – a registered NGO running exclusively on public funds, is working since last 20 years for mentally ill patients. We have FCRA registration and 80-G Certificate. 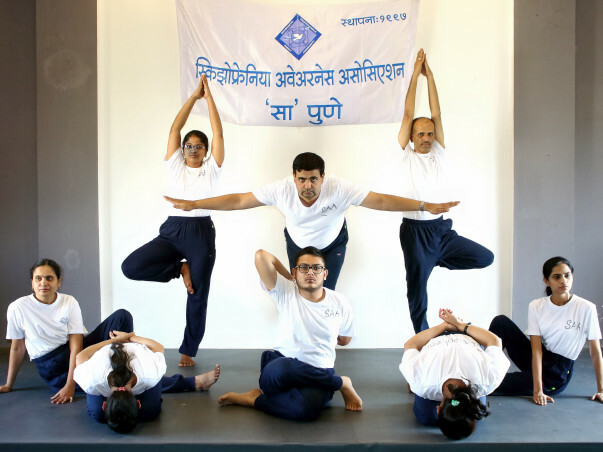 SAA, located at Dhayari, Pune is a 4-storied building working only for that part of the society which is often rejected, ignored and ridiculed due to their mental illness. The society still carries a stigma about this issue and timely help & support is often unavailable making the suffer’s life worse. What’s more alarming is that the percentage of people facing mental health challenges is increasing rapidly and lack of awareness is adding to the problem. There are hardly any NGO’s working to address this issue and their work is often restricted due lack of funds and support. Facing all the challenges & obstacles, SAA has yet been proudly able to stand on its existing 4 floored building with the support by Dr. Wani. The 4th Floor of the building (SAA’s premise) is being given for use by K.S. Wani Trust, Dhule. They have also given us the auditorium (located on the same floor) for conducting educational & awareness programs regarding mental health. Apart from the above, the center under rehabilitation program runs various activities such as stitching, weaving, catering, drawing & painting, computer & etc. Whenever there are electricity power-cuts, all our activities and thereby the patients get affected. Hence we primarily need a generator back-up. While the income generated for transport facility is INR 4,29,790/- approx. We need a 17 seater bus for providing transportation services to patients. SAA has also produced Presidential award winning Marathi movie Devrai, Majhi Goshta and couple of short films. Following is the youtube link of one such short film named “Its Dawn Again” This film was shot on location of SAA.